Nice deep red finish, decent build quality, handy addition of a steam facility. 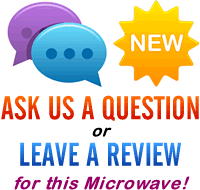 If you're not planning on putting this microwave in the corner, the rounded back panel may look out of place. 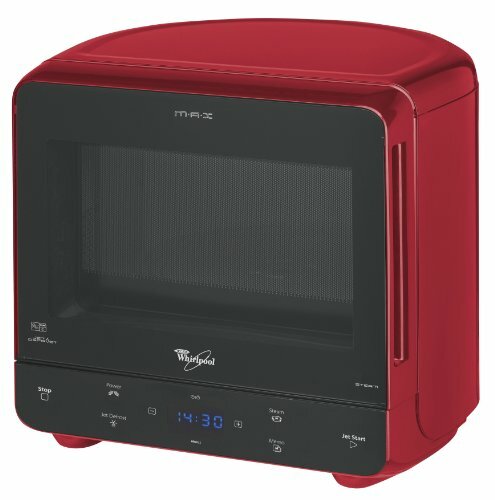 Looking to buy a compact reliable red solo microwave? The Whirlpool Max 35 Red may just tick that box, providing a modest 13 litre capacity with a 28cm turntable, and takes up very little space in your kitchen, thanks to it's space saving curved back panel. It features a steam mode, for healthy cooking, and takes up as little space as possible, without sacrificing functionality or easy of use. Finished is a beautiful red colour scheme, it will suit kitchens with a similar red theme. The controls are situated at the base of the microwave, as is the digital display, with each button being clearly labelled for ease of operation. During the test it performed very well - our testers were complimentary about the steam function, and overall performance. All in all, the red Max 35 works well, looks a bit quirky, and is easy to use. If you're after a decent small solo microwave, then this model from Whirlpool comes highly recommended.